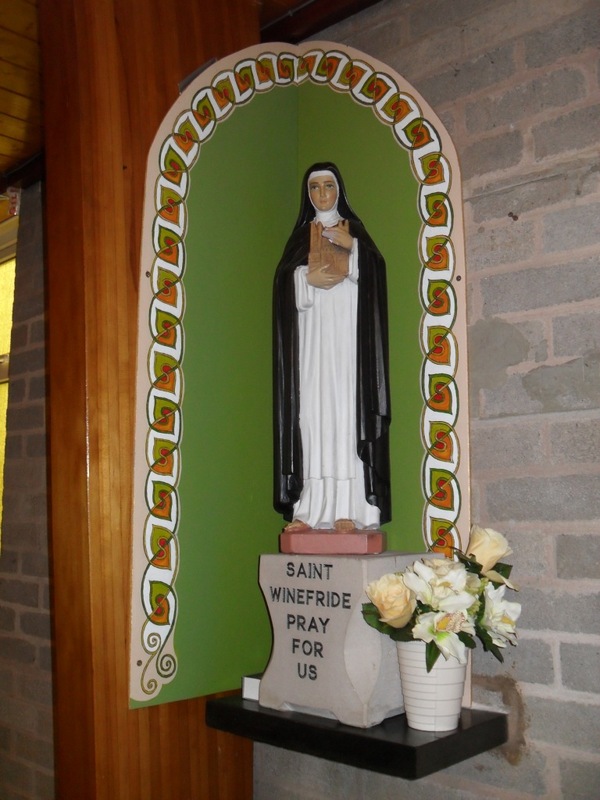 St Winefride’s is relatively modern, having been dedicated in 1963 by Very Reverend John Pettit, Bishop of Menevia. 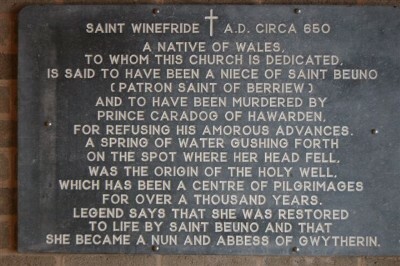 The church now resides in the Diocese of Wrexham. 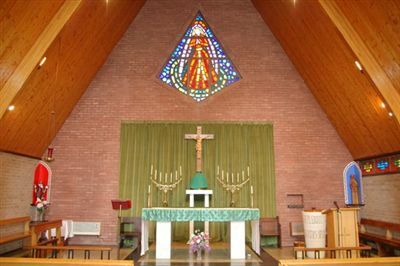 Features of the church include a steep slanting Swiss style roof over highly polished cedar-wood arches. 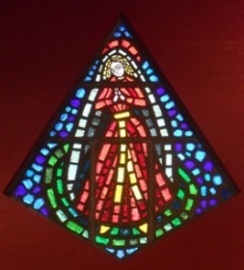 Besides the vertical frosted windows, there are two stained glass windows, one of which is a rhombus and follows the style of the architecture closely. A simple yet compelling altar is made of three pieces of Sicilian marble. The gallery is reached by a spiral staircase, where a statue of Our lady is carved in Spanish chestnut. The wood was grown and carved by Jonah Jones of Tremadoc. 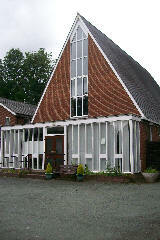 The present house replaced the original presbytery in 1980 and there is direct access to the church.